A child theme is the best and recommended method to customize any WordPress theme. You can make as many changes s you like. 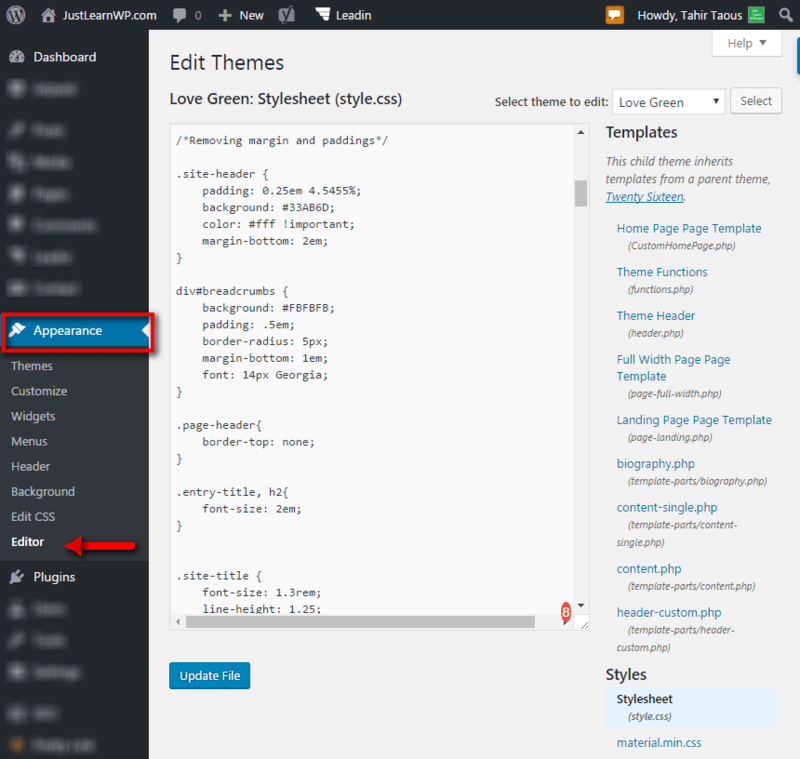 Previous Previous post: 10 Free Plugins To Add Custom CSS in WordPress? Unfortunately, the listed editors don’t cover all necessary cases. For example, quite often you need to edit some code inside Text Widget or in some special places inside third party theme or plugin. That is why I’m using CodeHighlight extension for Google Chrome which allows me to conveniently edit source code everywhere on the Web, not inside WordPress only.